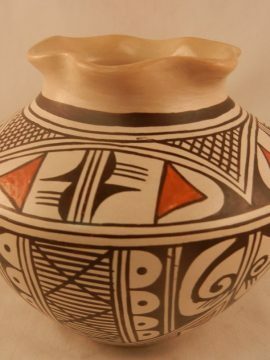 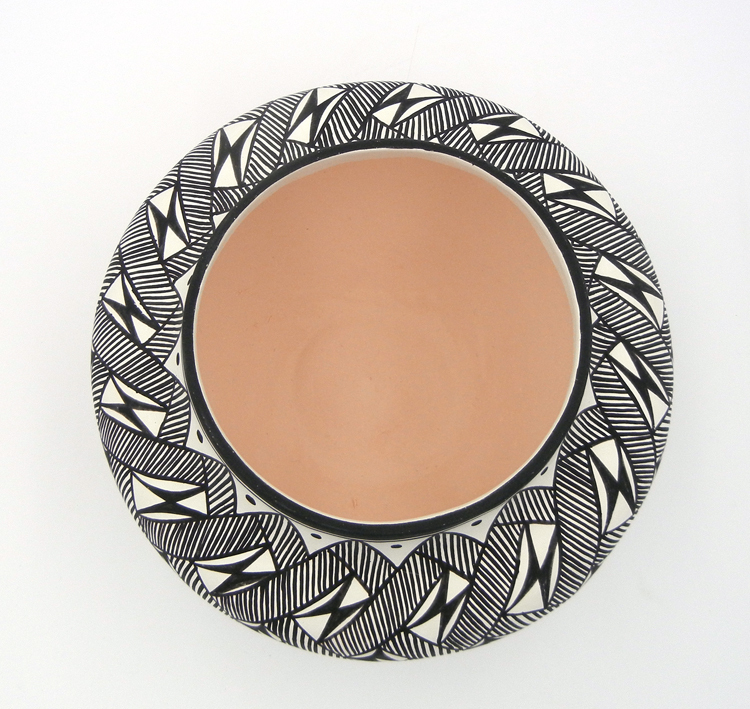 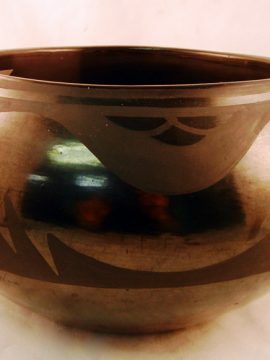 Hints of red are incorporated within the broader black and white painting along the surface of this beautiful traditional jar by Acoma potter Beverly Garcia. 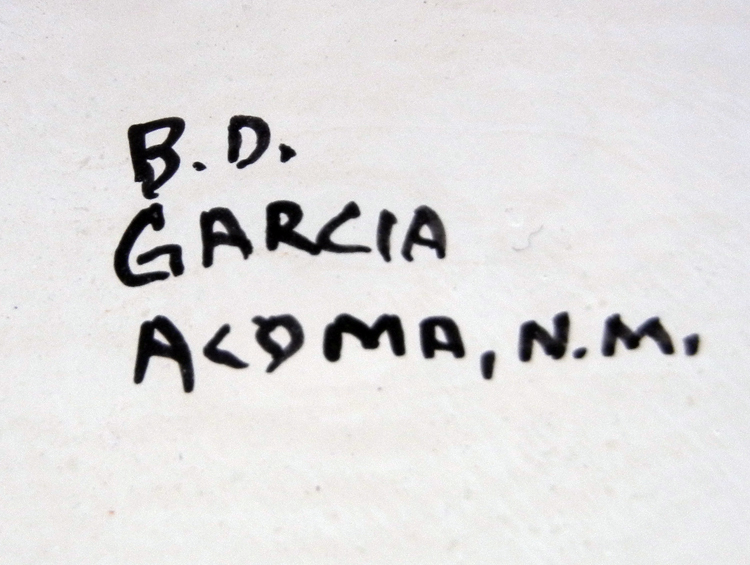 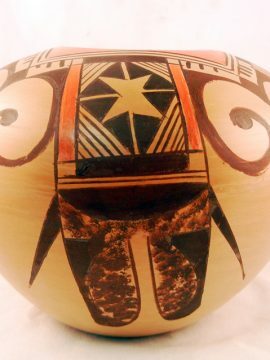 The piece consists mostly of fine lines, which, in Acoma culture, represent rain, as well as butterfly patterns, triangles, and dots. 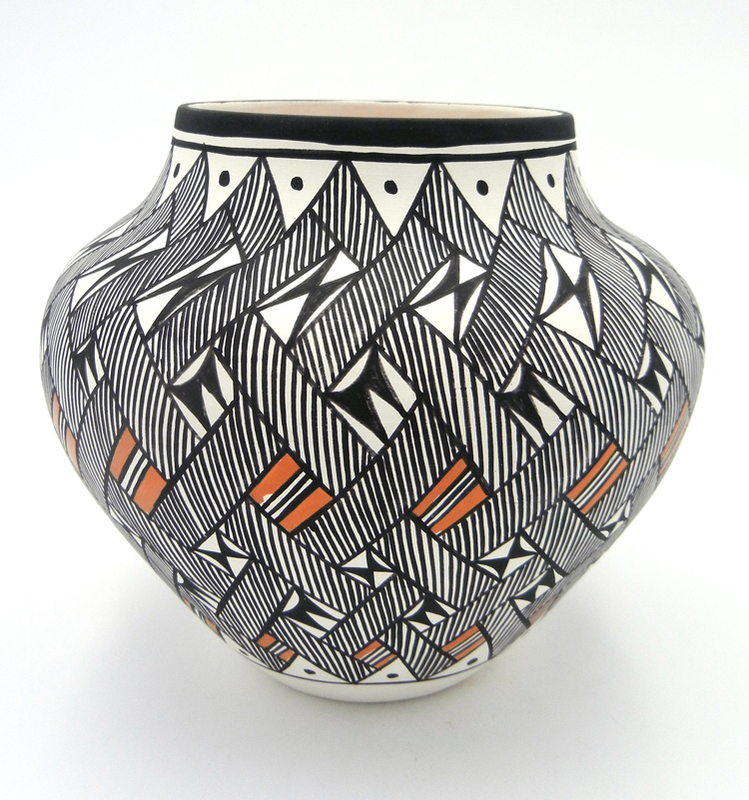 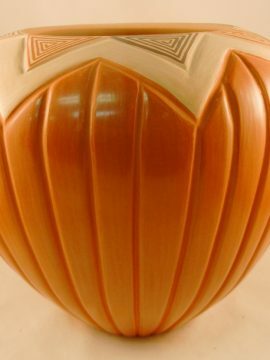 8″ tall x 8 1/2″ wide.